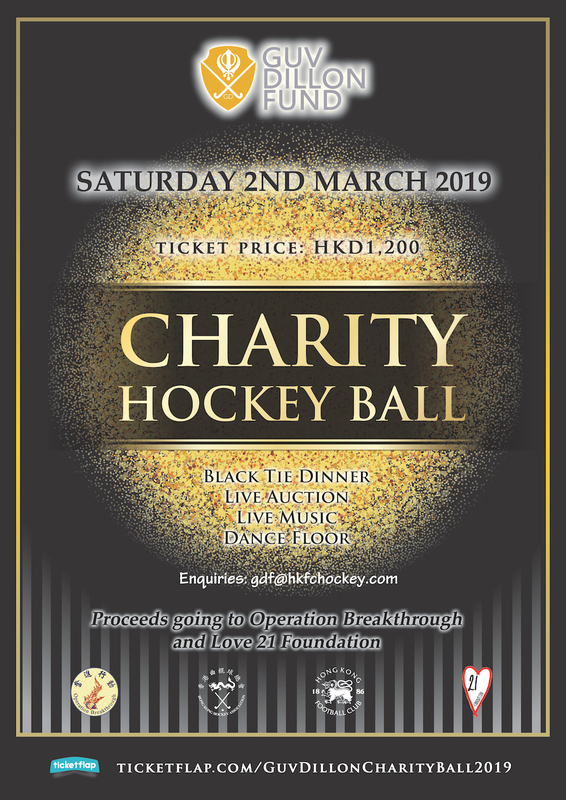 Following on the success of last year's Charity Hockey Party, The Guv Dillon Fund is proud to present this year's Ball: Guv Dillon Charity Ball 2019. Black-tie dinner, Guest Speakers, Live Auction, Live Music, Dance Floor. The event will again raise money for Charity Operation Breakthrough and Love 21 Foundation. Operation Breakthrough uses sport as a means to help rehabilitate and positively reinforce young people from disadvantaged backgrounds or families. Love 21 Foundation is a charity dedicated to improving health and nutrition for the Down syndrome and autistic community in Hong Kong. The Guv Dillon Memorial Fund provides financial contributions towards well established and respected community support initiatives for young people in Hong Kong, helping them to develop into responsible and positive thinking adults.